With around 2 million visitors per year, this small town in Czech Republic is certainly no secret, nor is it a surprise that the locals are overwhelmed with a love-hate relationship through the summer months when most visitors arrive in town. 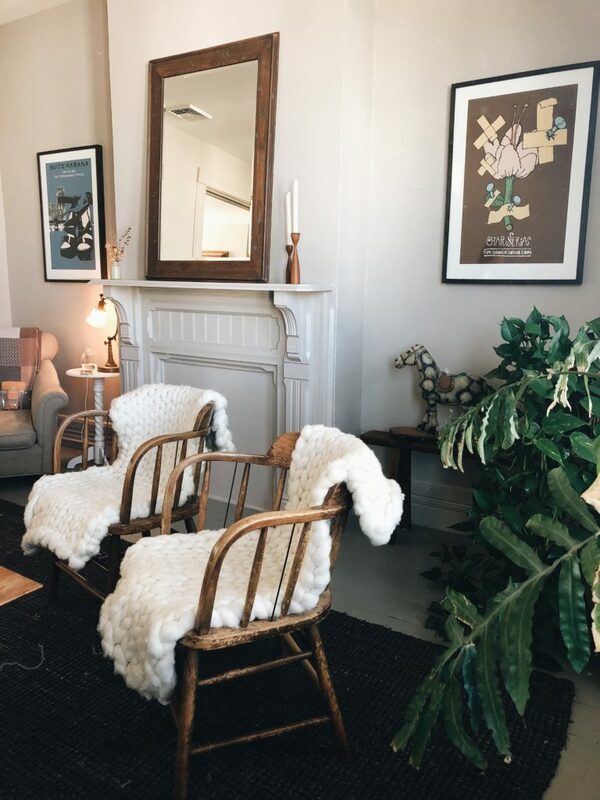 For this reason we’d suggest a shoulder season visit if possible or better yet, a visit during winter to enjoy the town almost entirely to yourself. 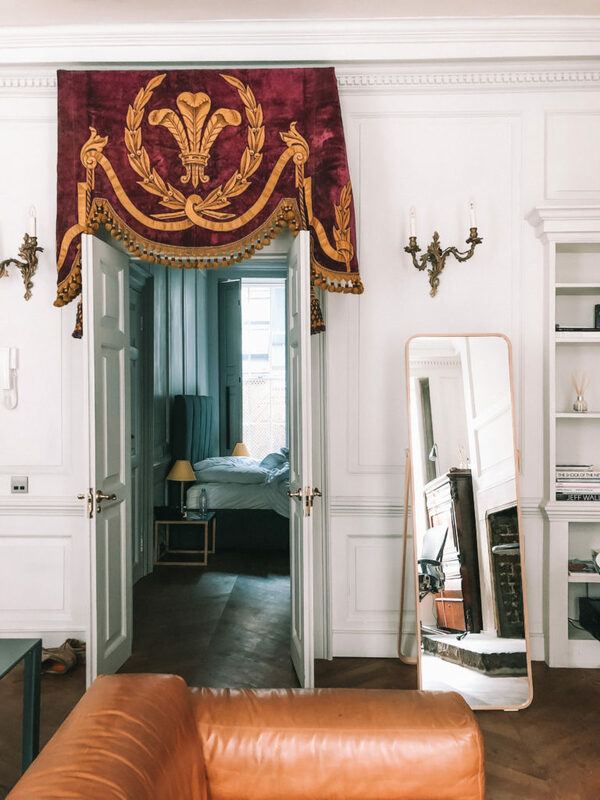 An even better way to maximize your visit and see the town at its best is to stay a night or two, as most visitors are passing through during the day and heading onwards to Prague in the North or South to Salzburg, Vienna and other destinations in Austria. Cesky Krumlov Castle – Castles and Europe go hand in hand, so it comes at no surprise to any of us that even a town as small as Cesky Krumlov has an oversized castle to explore. During the warmer months there is even a resident bear outside the castle. Castle Tower – After visiting the resident bear, make your way to the top of the tower for one of the best views over the city. Castle Theatre – You’ve never seen a theatre quite like this before. In traditional Baroque style, this is considered to be one of the most beautiful in the world. 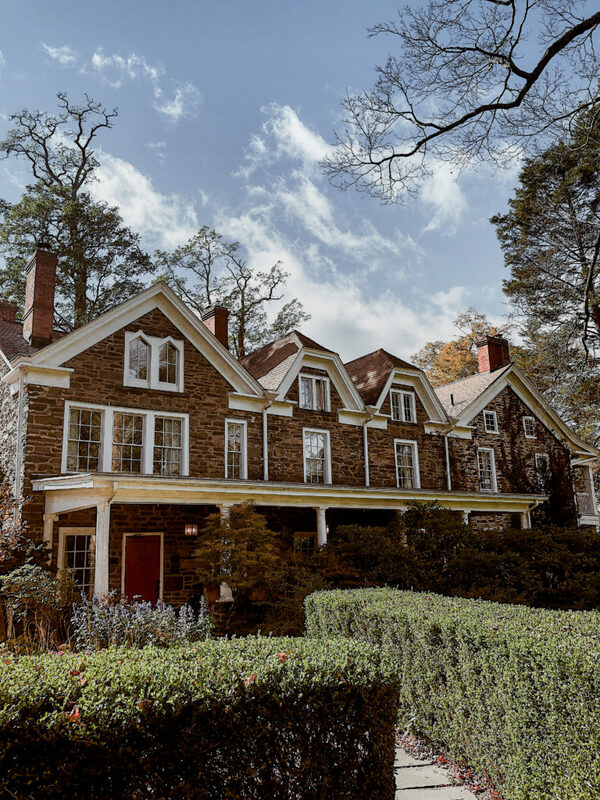 The theatre is open only to private tours for preservation, so be sure to book in advance or make it your first point of call to do so when you arrive in the town. Castle Gardens – If you’re a green thumb like me, then don’t miss out on the castle gardens in the summer time. Cathedral of St. Vitus – Even if you’re just admiring it from afar, be sure to take mental note of the cathedral of St. Vitus as it takes an iconic place in the skyline. Vltava River – Another popular thing to do in the warmer months is to float down the Vltava River on a raft, floatie, or just float your body downstream! Laibon – The original vegan eatery in Krumlov, Laibon has been around for as long as I can remember and I won’t make a trip to Krumlov without stopping by. The soups have been a lifesaver in the winter time and the setting on the river is too good to pass up! Nirvana – Another favourite in winter time is to warm up with a healthy but hearty Indian curry at Nirvana. They have plenty of veggie options and will cater to vegans also. Dobra Cajovna – Another vegan favourite with a very earthy vibe. Cafe Strudel – The town’s go-to dessert shop. MLS Creperie – As the name suggests – a creperie and pancake shop. BON BON – Chocolate shop. 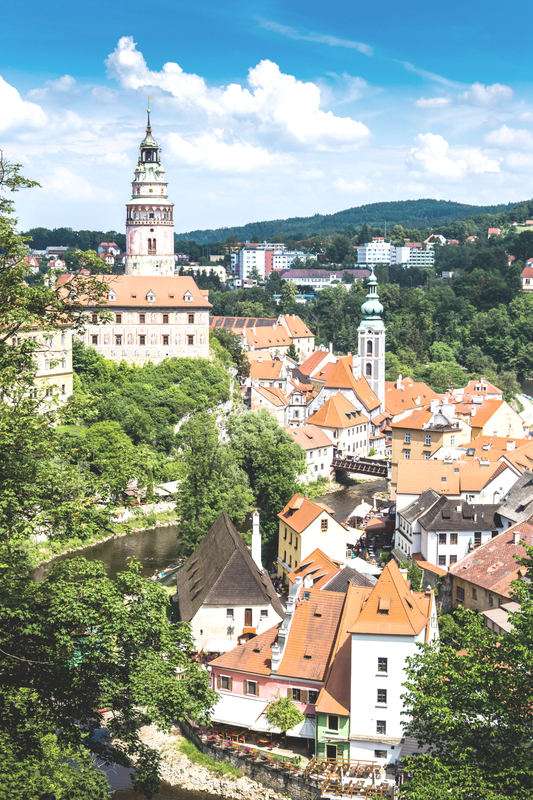 One of the biggest draw cards for visitors to Cesky Krumlov is the incredible postcard-worthy view they’ve seen umpteenth times before. Here’s where you’ll snap the best vies of the town: Castle Cafe and Hotel Ruze. this website is very amazing and interesting story. i love this website. 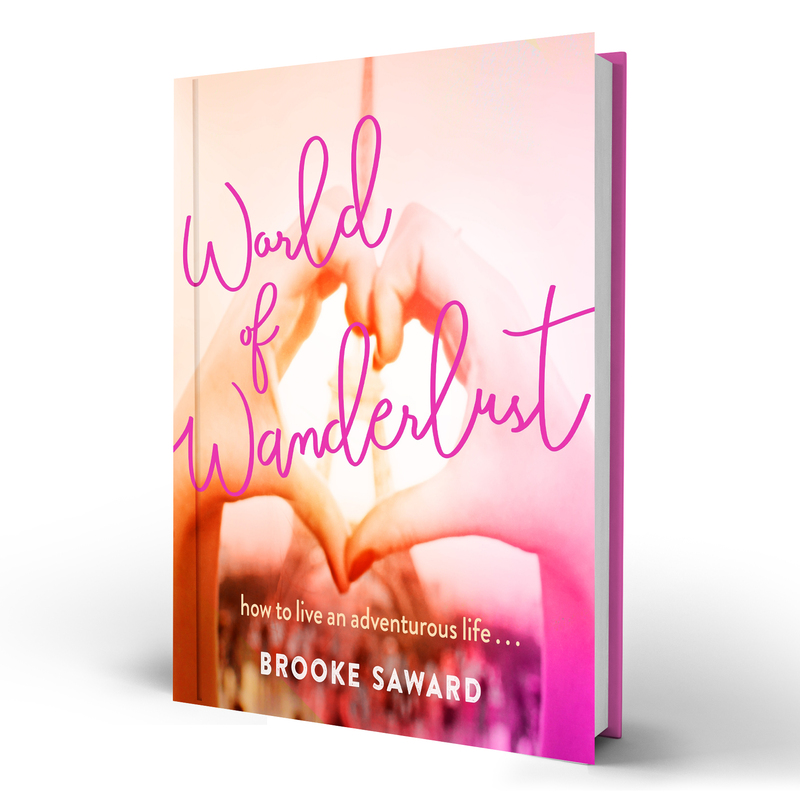 How can I share with you how much this post help me? 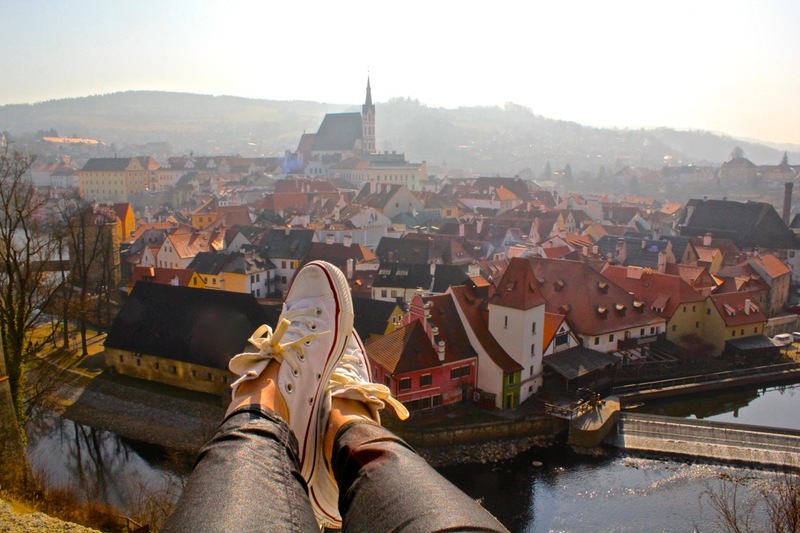 I am looking for the Czech Republic cutest town details and end of the day find your blog. Thanks for sharing with us. This town looks adorable! Looks like we’ll have to add it to our bucket list! Although international food chains can be a comfort when traveling long-term, it’s nice to see a place hold on to their roots and stay authentic. Cesky is really a pretty town. I will come here on my winter holiday. This place is indeed like a fairytale and seeing your pictures made me fall in love with it. 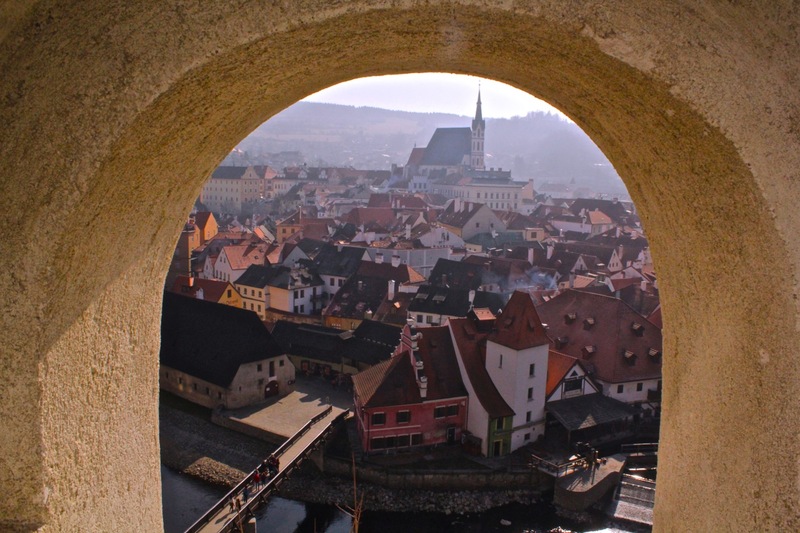 I am immediately adding Cesky Krumlov to my bucket list because you whetted my appetite! so beautiful I like it the beautiful place, everything is so beautiful you also. who want to miss the beauty of this amazing country. Really inspired to see the exceptional views of the great towns. 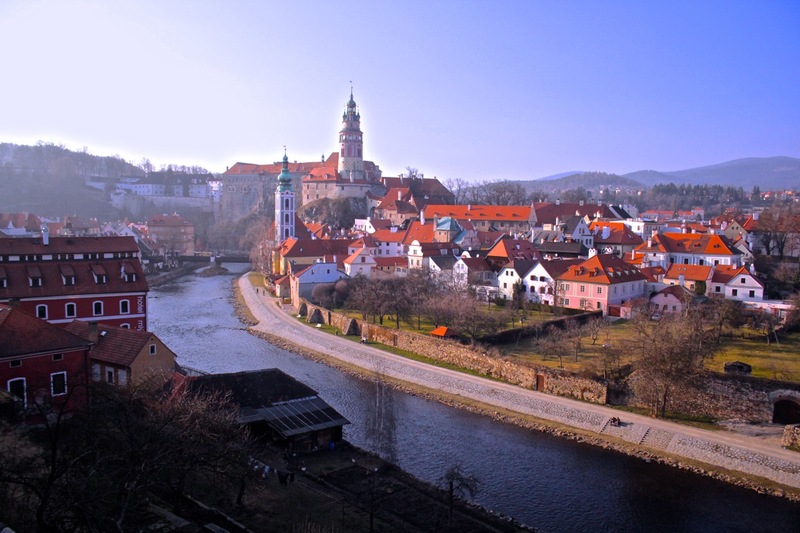 Krumlov looks incredibly beautiful! I love that they have decent vegan/vegetarian options too <3 and obviously the sweet treat places would obviously be top of my list to visit! We had the incredible opportunity to visit Cesky Krumlov last month as part of a 7 day, Prague to Vienna bike tour. It was awe inspiring, and my favorite stop, which says something because the entire trip was wonderful. We visited the castle, gardens, took a raft ride and just wandered around this beautiful village. By the way, Czech Bike Tours exceeded all expectations…check it out. My favorite vacation ever! Thanks for the memories! This place looks incredible! I always wanted to visit Czech Republic and I definitely now I am going to add it to my bucket list. Looks like a storybook town. Definitely looks like a fairytale town! And with the snow…that’s just the perfect Christmas card. I just came back from my 5th trip to Cesky Krumlov, I clearly love it there 😉 I call it the gingerbread town! 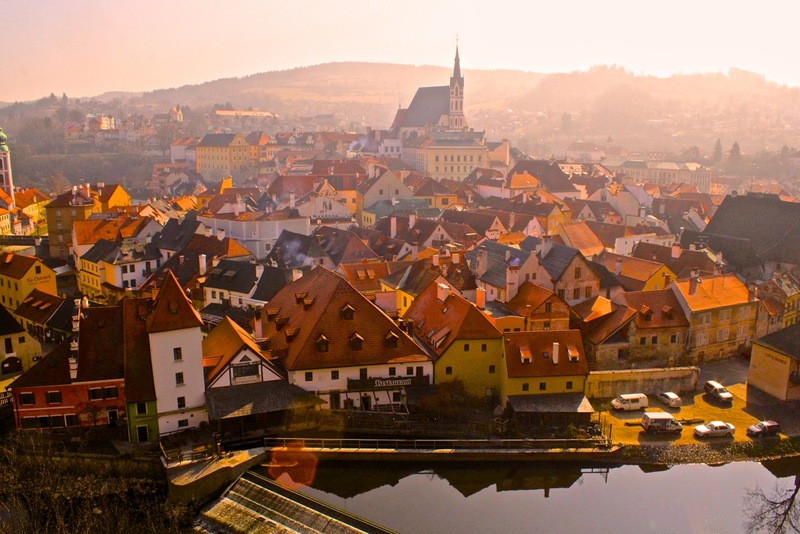 It’s one of the cutest towns in the Czech Republic, just like you say. But then there are also other beautiful places in the vicinity. The whole South Bohemia is amazing!